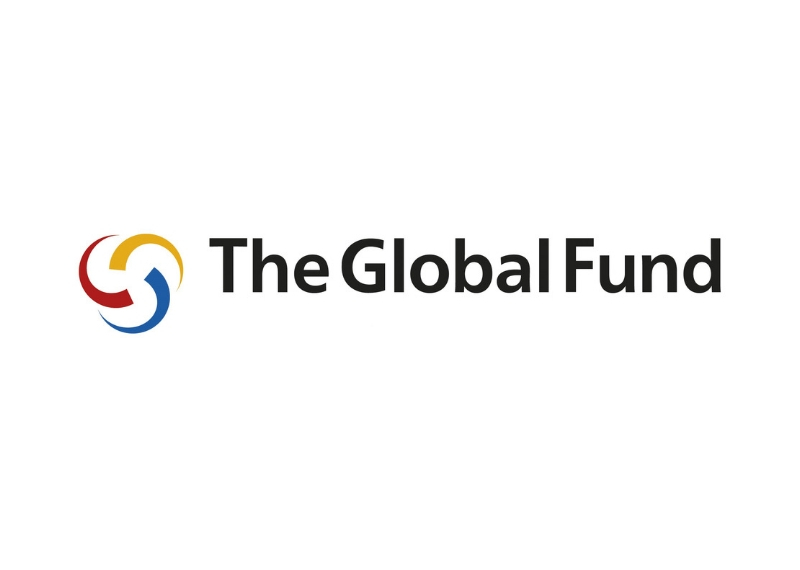 The AIDS Foundation of South Africa (AFSA) invites civil society organisations that are interested in participating in the Global Fund Programme, April 2019 – March 2022, to submit applications to AFSA for consideration. Follow the links below to find the Terms of Reference for the three separate Requests for Applications (RFA) and the application form templates for each RFA. The AIDS Foundation of South Africa has received permission from the Country Coordinating Mechanism to re-advertised the Request for Proposals for the Prevention Programs for Adolescent Girls and Young Women be implemented in the Zululand District, as part of the new Global Fund Program (April 2019 – March 2022). Due date for submission of applications: Friday 29th March 2019, before the close of business at 17h00 / 5pm. Applications must be hand –delivered or couriered: application package must include: 1 x hard copy of completed application form; supporting mandatory documents; and an electronic version of the application & supporting documents saved onto a USB stick. AFSA invites registered CSOs that are led, or work closely with, people with TB, PLHIV and key and vulnerable population groups to submit applications to participate in the Community Responses and Systems’ Capacity Building and Mentorship Programme. Follow the links to download the Terms of Reference and Application Form Templates for the above listed RFAs. 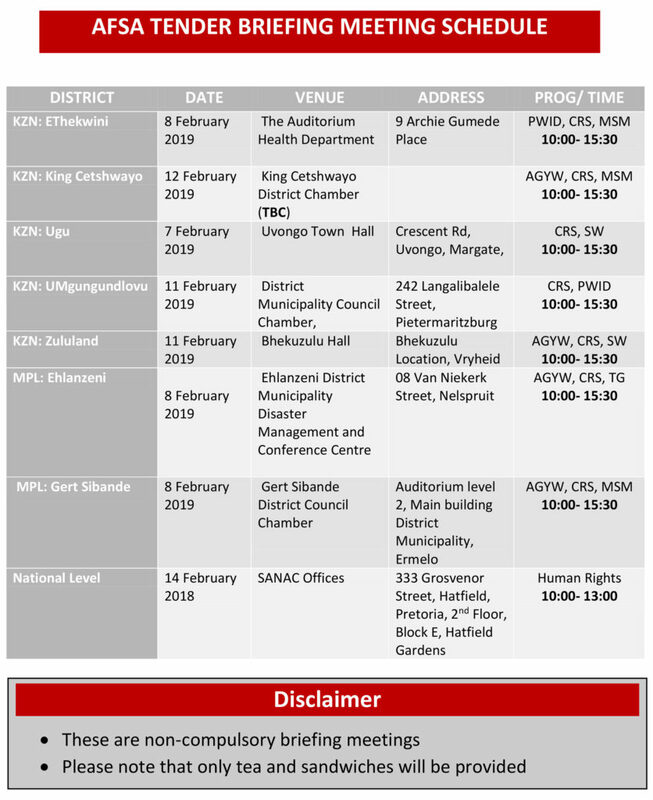 Click on the image to download a PDF version of the Briefing Meeting Dates.